Tim Maguire, Orange Trumpet Duotone, 2018. Archival pigment print, 152 x 227cm, Edition 3 + 1. Courtesy: the artist and Martin Browne Contemporary, Paddington. 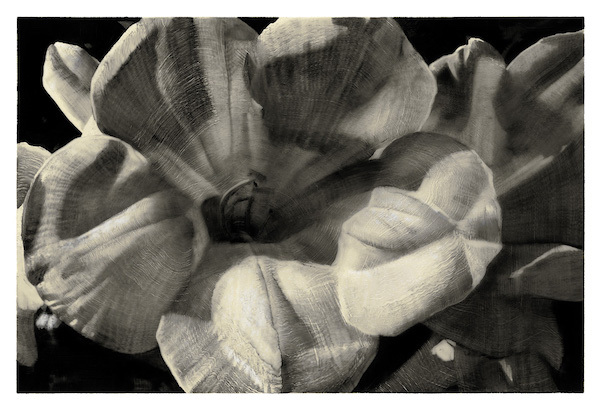 Martin Browne Contemporary presents a new series of duotone prints by Tim Maguire.